Why is the Texas House determined to weaken high school graduation requirements? The Foundation Diploma, created by HB5 to let students select one of four paths to graduation, only weakens graduation requirements, no longer making students take Algebra II or advanced science courses. It would erase the progress we have made in Texas closing the gaps between student groups. Since Texas created its current requirements, called the Recommended Plan, high school graduation rates have increased and the performance gap between white students and minority students and the economically disadvantaged has shrunk. How can the argument be made that tougher standards lead to higher dropout rates? Since Texas started requiring students take tougher classes to graduate, dropout rates have gone down. Yet during debate on the House floor, representatives said pushing our students will cause them to give up. While that argument may sound reasonable and valid, the numbers just don’t back it up. The letter also says that too many of Texas’ students, especially African-American, Hispanic and low-income, will graduate unprepared for the future if this bill becomes law. Low-income and minority students are thriving in the current system, making bigger gains than any other groups in graduating career- and college-ready. Can we do better? Yes, but we should not replace a system that is moving us in the direction we want to go with a system that will throw us in the wrong direction. Given the choice, will your children choose to take harder courses if those courses are no longer required for college admission? Currently, students must take the recommended curriculum to be considered for state college admission, but that would no longer be required under HB5. If those tougher courses are no longer required and parents aren’t encouraged to step in, it is likely that students will opt not to take them. Parent groups support the changes in this bill even though it would mean less say for them in the classes their children take. Right now, for a student to get out of taking the recommended curriculum, parents have to give permission. State Rep. Mark Strama tried to add an amendment to HB5 that would have kept the current requirement in place, but it was shot down by almost two-thirds of the House. Parents are being sold a bill of goods by the groups that supposedly represent their interests. Since when was less parental involvement in education a good thing for students? Texas’ reputation for having the best business environment in this country is in danger. Severely weakening our graduation requirements and reducing the number of career- and college-ready graduates do nothing to create a skilled and educated workforce. While other states are raising the bar to equal what Texas has done for years, the state House is trying to move us in the wrong direction. Can you imagine what is going through the minds of leaders in other states as they salivate over Texas giving them the perfect argument for businesses not to move here? 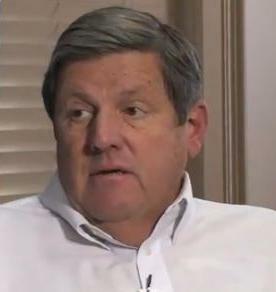 Bill Hammond is president and CEO of the Texas Association of Business. Bill, I can see no reason to believe what is being done, versus what is being proposed will make any difference to the standards. Not every student succeeds now, despite your unreferenced indication. I believe that the basically unchanged success rate will remain unchanged as for the academically gifted as they will succeed. The academically challenged at least will have other programs that will better suit them and societies needs. You may be correct about the racial factors, but I fail to see you pointing me to the sources of your facts to help me conclude the same thing as you. This seems to be just another whining argument rather than a well researched and reported conclusion. If this seems to be disrespectful … I just call it like I see it. Please give be facts not your opinion next time.